The Smart Phone revolution wouldn’t be complete without a nod to the cottage App industry. What was once a cottage has turned into a $30 billion a year metropolis. Considering that it is only 5 years old, that is impressive. In Vancouver there are App companies with revenues north of $30M. Facebook paid over $1 billion for Instagram. Thinking Exponentially, there are about 700,000 Apps in the iPhone and Android App stores. It has created a software revolution. Years ago independent developers were squeezed out as software complexity rose. Apps changed all that. Better software made it easy to create software. Developers are once again entrepreneurs. 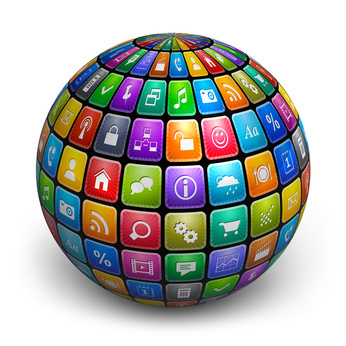 Apps have merged the power of the global Internet with an excellent native software experience. Apps provide a user interface that a web page never could. Apps can also be downloaded at a whim, satisfying the Instant Gratification human need. Easy distribution and excellent tools allowed for software to be created inexpensively which in turns allow for extremely low retail prices. Low prices meant great adoption rates. These are the ingredients for a revolution. Anyone can build an App. It is remarkably easy. When you combine this trend with the theory of the Long Tail, there is effectively limitless opportunity. The Long Tail says that given the global reach of the Internet, somewhere someone wants your product. With app stores, you can find that market. There are various ways to monetize an app. The easiest is just to sell it. Second is to use ads running inside of apps. Third is to sell content inside of the app. With 100’s of millions of devices, almost a billion worldwide, the market is immense. The app model was so successful it has been adopted by the desktop industry. Expect to see an app market for Google Glass, game consoles, TVs, and even watches. Apps have fundamentally changed software.